Proroute H750P WRT 3G Router with Dual SIM Card Slots for Failover. Proroute H750T WRT 3G Router with Dual SIM Card Slots for Failover. 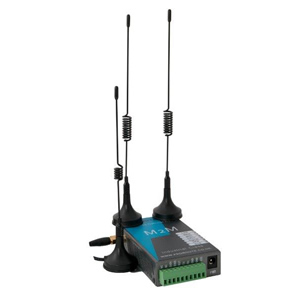 The H750T is also available with 2 x embedded 4G modems for 2 x simultaneous 4G connections - this version is called H750TT and has its own product page. Proroute H700 Range are the next generation of high speed industrial 4G routers that provide high specification 4G, WiFi, Ethernet and processor board to ensure the optimum performance and reliability for your mission critical mobile broadband application. The Flagship product is the H700TT which is a dual modem 4G router which provides 2 x embedded CAT6 LTE 4G Modems working on all UK and European bands for 3G and 4G connectivity and delivers this high speed 4G to devices on the LAN via Gigabit Ethernet Ports and Dual WiFi 2.4Ghz and 5.0Ghz) 802.11 AC WiFi. The H700TT provides load balancing between the 2 x CAT6 4G Modems to share the load for a busy LAN environment or can provide diverse solutions for environments where different applications can run over each 4G modem or even as hot-swap 4G failover where you need the most reliable mobile broadband uptime connectivity. he Huawei B618 LTE CAT6 4G Router is a wireless gateway that integrates LTE and high-speed Ethernet uplink access, which provides users with flexible and diversified data access and voice services. The Huawei B618 is the ultimate high speed 4G Router for business. The Huawei E5885 CAT6 4G Modem is the new portable mobile Wi-Fi device that produces a superfast Wi-Fi speed and has a long life battery. The best feature about the E5885 is that it has a lightning fast download speed reaching up to 300 Mbps and this is complimented by the high speed CAT6 4G modem inside which provides the fastest possible 4G connection. The new Proroute H750 Industrial Cellular Router is the next generation of routers now providing Dual SIM and Dual Modem options. The H750 provides a hardened casing to survive tough environments and supports wide voltage range makingh it suitable for both a standard M2M router as well as a compact and reliable Vehicle 4G Router. Proroute GEM600 Dual Module LTE 4G Router is an industrial grade M2M 4G Router that provides the ultimate, high speed reliable connectivity solution for CCTV, Digital Signage, Remote Media, Office, Remote Office, Building Management or Wind/Solar remote management and monitoring. - Provide scheduled or event based device hard reset function through the PoE power management. - Full networking protocol with NAT/Routing/IPv6 compatible with most IP network. - IPSec, PPTP, and L2TP VPN support up to 32 concurrent tunnels with max 100Mbps throughput (IPSec). - Seamless power failover between redundant DC 12V~56V wide range power input; Provide up to 120W for four PDs. If you need a weatherproof 4G Router for installation outdoors then the Teltonika RUT750 is a waterproof 4G router which will provide Ethernet and WiFi LAN connectivity. Easily installed in an outdoor location with power being delivered via POE, the Teltonika RUT750 embedded 4G router provides high speed wireless broadband for a variety of applications where outdoor mounting is required or desired. Conel SPECTRE v3 LTE 4G Router is designed for wireless communication in mobile networks that make use of LTE, HSPA+, UMTS, EDGE or GPRS technology. 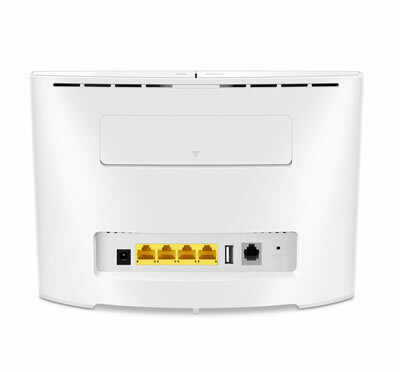 Due to the high speed of data transfer up to 100 Mbit/s (download) and up to 50 Mbit/s (upload) is this router an ideal solution for wireless connection of traffic and security camera systems, individual computers, LAN networks, automatic teller machines (ATM) and other self-service terminals. Billion M1000 Advanced M2M Industrial 4G/LTE Wireless VPN Router is a high-performance all-in-one wireless communications platform with advanced software enabling high availability, reliable and secure connectivity for mission critical applications using mobile broadband Internet connectivity. The Billion M1000 4G Router is specifically designed to provide outstanding network efficiency and internet security for a wide range of applications and vertical machine-to-machine (M2M) market segments. The Conel 4G LTE Router LR77 V2 provides wireless connection of various equipment and devices via Ethernet interface 10/100 or serial interfaces to the Internet or intranet. The 4G LR77 v2 is an ideal wireless data transfer device for applications transferring large data loads because of ultimately fast data transfer speed in LTE network reaching up to 100 Mbit/s (download) and up to 50 Mbit/s for upload. If you need a reliable, always on 4G connection then the LR77 V2F is the ideal 4G router for you to choose for your project. 5G Network Auction is now completed in the UK so we can expect some trials and rollouts of 5G mobile phone networks in the next 12-24 months and in preperation we will be able to provide industrial 5G routers for use with the UK 5G mobile phone networks.